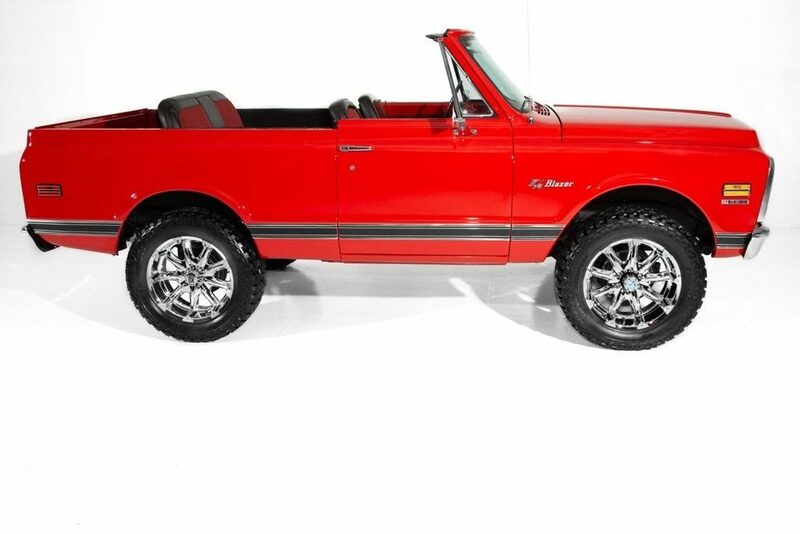 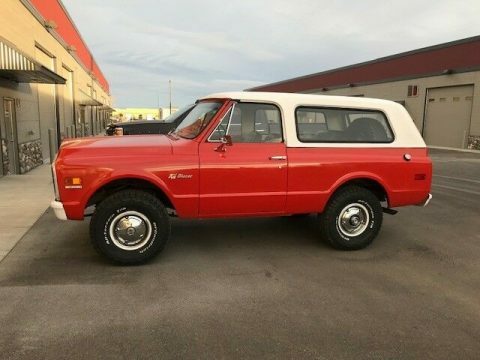 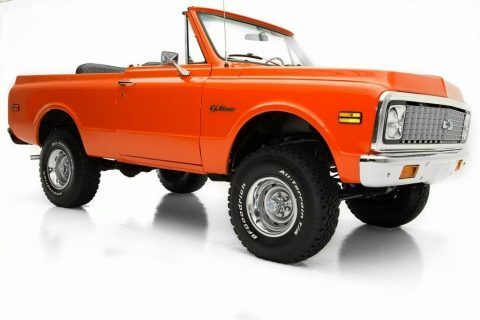 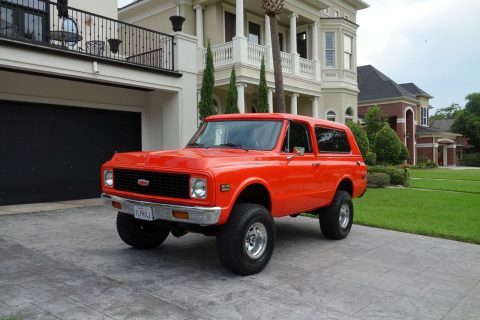 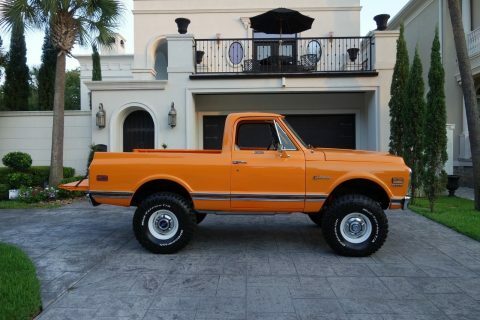 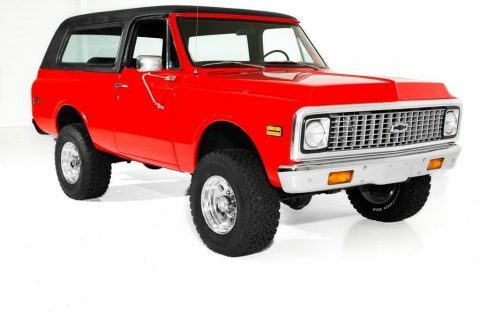 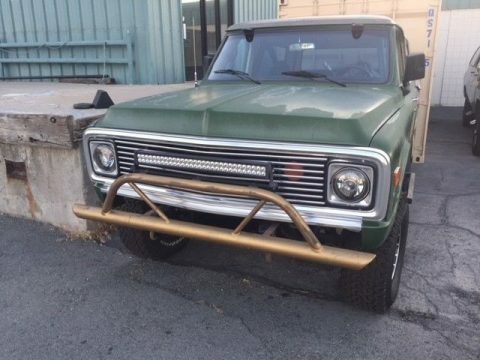 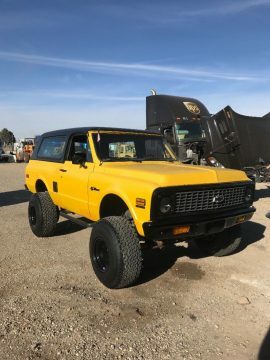 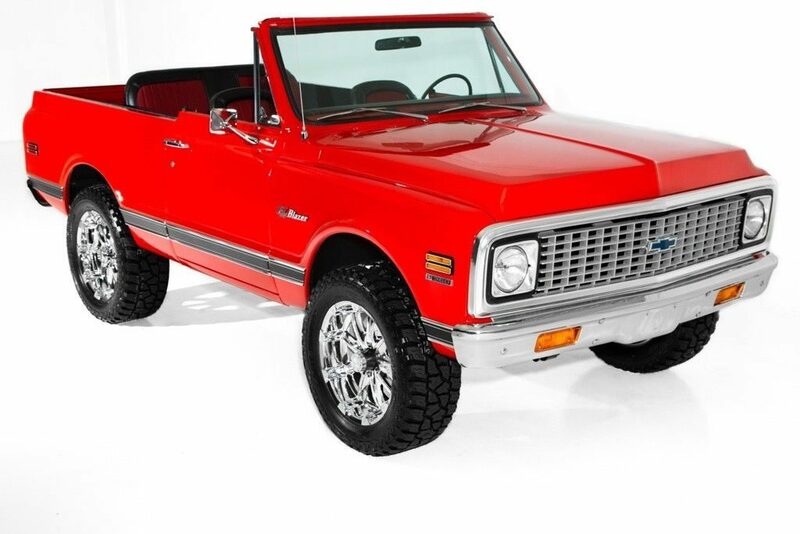 Awesome Torch Red 1972 4WD Chevrolet K5 Blazer with white fully removable hardtop. 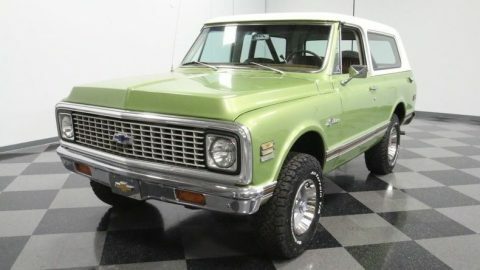 Powered by a nicely detailed and strong running 350 c.i. 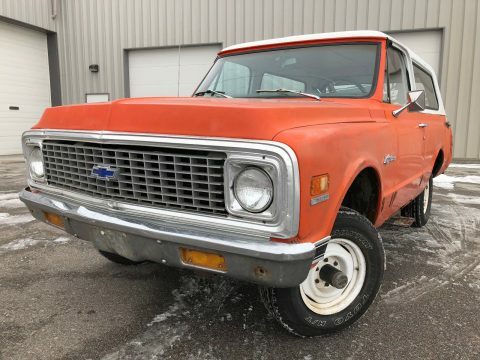 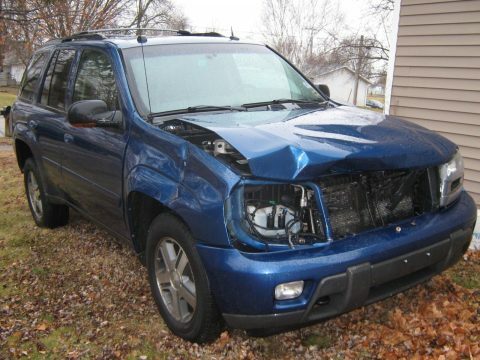 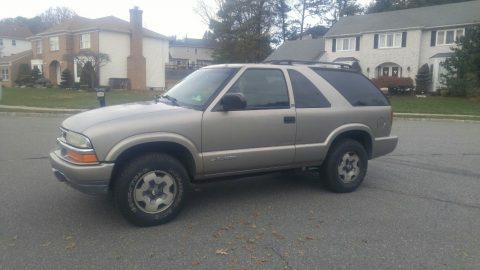 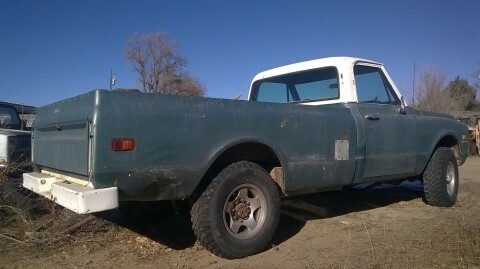 engine and shifted by a rare and desirable 4 speed manual transmission. 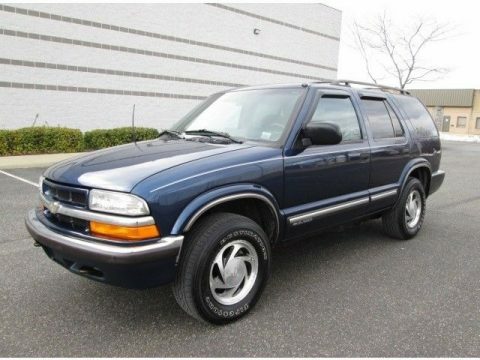 Power steering and power front disc brakes for comfort and safety. 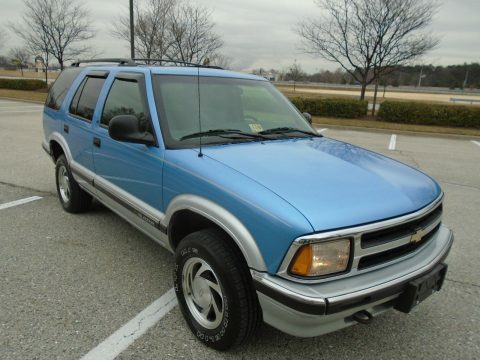 Super straight body with great paint quality and finished in lots of new chrome and all new CST side trim and tailgate panel. 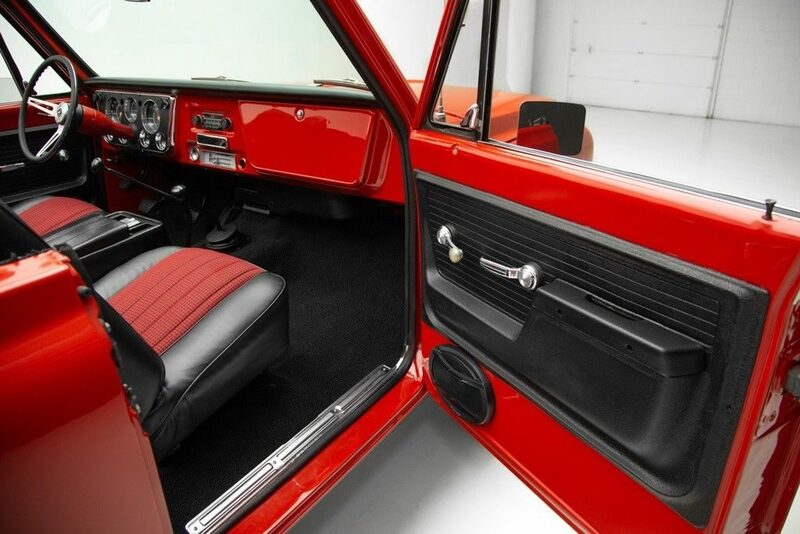 Beautiful interior with stunning black and red Houndstooth upholstery on the factory bucket seats, center console, new dash pad, new Cushion Grip steering wheel, new dash bezel around the gauges and new complete carpet kit. 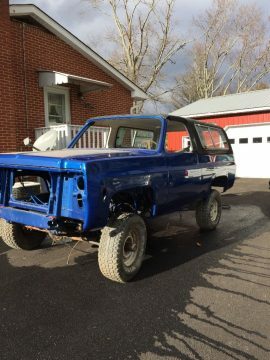 The undercarriage is rock solid with excellent metal structure and new dual exhaust with Flowmaster mufflers for a nasty rumble. 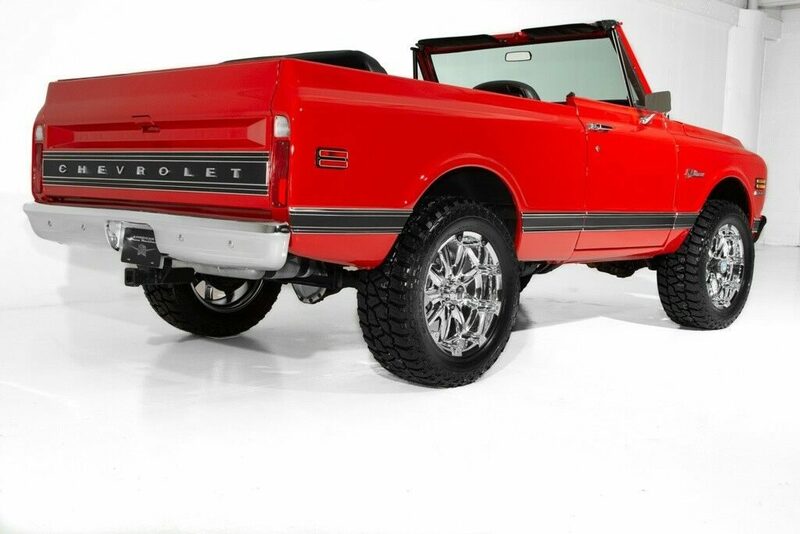 Rolling on new 20 inch chrome XD Badland wheels wrapped in new Mickey Thompson all terrain tires for major curb appeal.